Representative Julia Howard has introduced H410 in the North Carolina House of Representative to require generators at all nursing homes, combination homes and adult care homes located in the state. 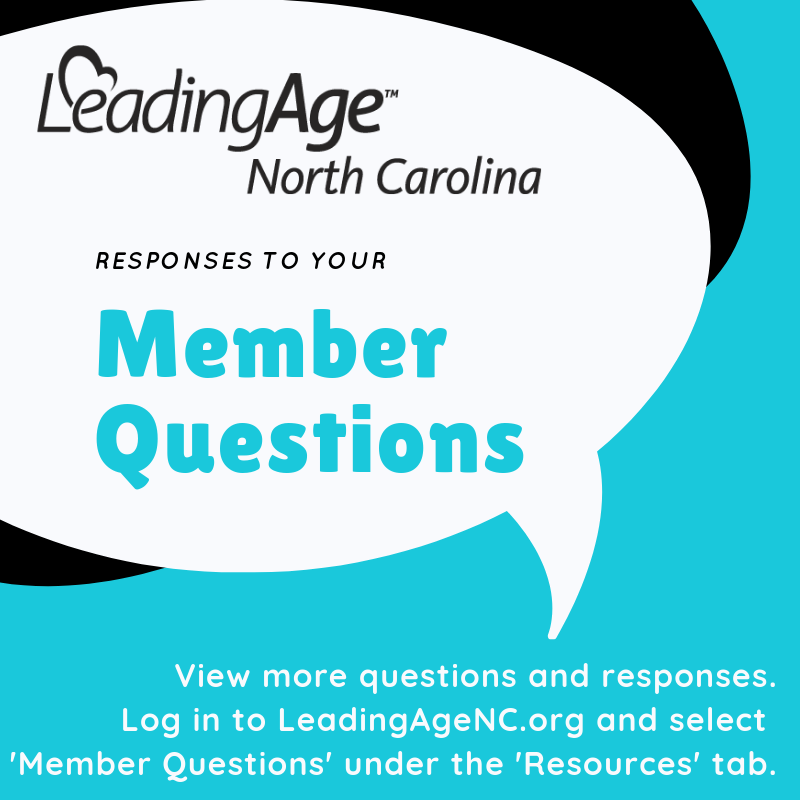 All LeadingAge North Carolina members subject to the proposed legislation currently have generators. The bill’s actual wording charges the North Carolina Medical Care Commission with adopting rules specifying “the essential electrical services nursing homes, combination homes, and adult care homes are required to provide through the use of emergency electrical services.” The bill specifies provision of emergency electrical service “sufficient to provide heat, air conditioning, lighting, and other essential electrical services.” LeadingAge North Carolina has been in touch with the construction section at the Medical Care Commission to offer our ongoing perspective (both now and in the event the legislation passes). Implementing Trauma-Informed Care: A Guidebook provides strategies for compliance with Phase 3 of the Requirements of Participation. 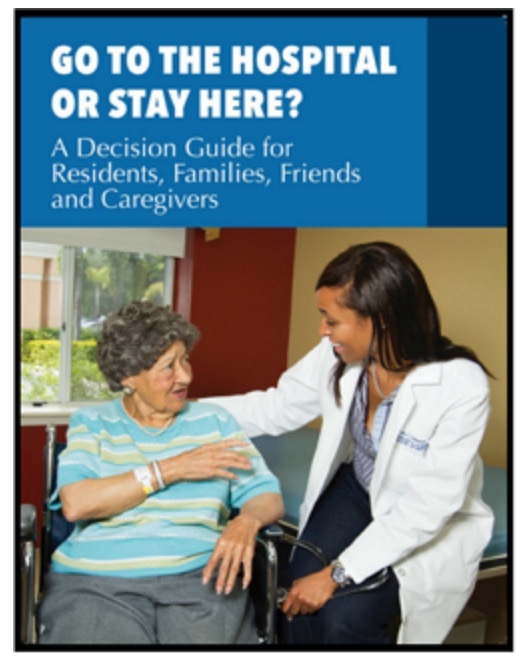 CMS has launched a new podcast intended to help explain the agency's policies and programs. "CMS: Beyond the Policy," discusses updates and changes to policies and programs in an easily accessible and conversational format. New episodes of the podcast will be released periodically and will welcome a range of subject-matter experts and stakeholders, including Administrator Verma. The inaugural episode of the podcast focused on Evaluation and Management Coding (E/M Codes). This episode is available for download on iTunes and Google Play. You can also access the recording on the CMS website. Click here to learn more about this podcast. LeadingAge wanted to get a better idea of how older adults view quality of life and aging, particularly should they develop physical or cognitive impairments and need long-term services and supports (LTSS). So, we teamed up with NORC, a research institution at the University of Chicago, to survey a representative sample of 1,200 older adults between the ages of 60 and 72. Those survey results, which we unveiled during the LeadingAge Leadership Summit in March, contain new information that challenges many commonly-held views about how baby boomers want to age. We think members will find the survey findings very enlightening as their organizations plan to serve future consumers. What do self-awareness, self-management, motivation, empathy, and social skills have in common? They make up five areas of something called emotional intelligence: those skills that make a huge difference in our ability to get ahead in life. Do have them? Read more. Would you believe that the likelihood of your getting anything done goes up significantly if you put it on your calendar? Switching from a list to a calendar might be that little change that makes a big difference. Could your team benefit from this approach? Read more. The difference between pressure and stress is chronic worry, or rumination. Check out these four steps to help change your reaction to pressure and reduce stress in your life. Routines, schedules, and permission to create junk are the foundations of creative inspiration. Read more for this author's compelling ideas on how schedules spark creativity. Thanks to everyone who keeps the member question service going strong by responding. Click on a recent topic below to download a spreadsheet of corresponding responses. A lack of affordable housing drives down health and keeps North Carolinians in poverty, according to the latest annual County Health Rankings & Roadmaps, released recently by the Robert Wood Johnson Foundation and the University of Wisconsin Population Health Institute. Taken as a whole, residents in Wake County have the best health outcomes in North Carolina. Those in Robeson County have the worst outcomes. Urban areas tend to place higher in the rankings, but cities also struggle with affordable housing and have pockets where health outcomes are lower. In total, 14 percent of North Carolina households spend more than half of their income on housing costs. But a deeper dive into the numbers show wide racial disparities. Households headed by black residents are most burdened by severe housing costs at 21 percent, compared to white households at 11 percent. The deadline to file 2018 tax returns is April 15. The Internal Revenue Service offers two programs that can help senior households make sure their filings are correct and on time – the Volunteer Income Tax Assistance (VITA) program and the Tax Counseling for the Elderly (TCE) program. Both are free and offered at convenient locations such as libraries, schools, and shopping malls across the country. Find the closest VITA/TCE site. The March/April edition of LeadingAge magazine explores how LeadingAge members are responding to the growth of managed care by forming networks, innovating in transitions of care, and building managed care plans of their own. There’s always something new on the LeadingAge Learning Hub, our online learning platform designed to address the professional development and education needs of aging services professionals. Check out our new QuickCast on What To Do About Bed Bugs? Learn about how to Preserve Your Aging HUD Property. Or check out our upcoming webinars on Recognizing the Financial Implications of PDPM and Get Ready for Advocacy: Housing Priorities Explained. Join the North Carolina Center for Nonprofits and organizations across the state for a Nonprofit Town Hall meeting later this month. Discussion will include briefings on the top federal and state issues affecting nonprofits in North Carolina. Cost of attendance is $25 for Center Members and Sustainers, and $35 for all others. Pre-registration is required. Click here to learn more and register for a meeting in Wilmington or Elizabeth City. The Endocrine Society recently issued new practice guidelines to aid in treating diabetes, which currently affects about 33% of older adults in the U.S. Recommendations include targeting blood pressure levels of 140/90 mmHg to decrease the risk of developing cardiovascular problems, and administering annual eye exams to detect retinal disease. The new guidelines, “Treatment of Diabetes in Older Adults: An Endocrine Society Clinical Practice Guideline,” will appear in the May issue of the Journal of Clinical Endocrinology & Metabolism. We can't wait to see you in Myrtle Beach, SC next month for our largest educational gathering of the year. NOTE: Due to high demand of the room block, hotel reservation requests should be made directly through Leslie Roseboro. Email Leslie by April 12 with name of attendee, contact information, arrival/departure dates and bed preference. Also contact Leslie if you currently have a reservation that is outside the room block. If you are holding rooms within the room block that you no longer need, please do not cancel them directly with the resort. Contact Leslie Roseboro in order to make room for others who are on the waiting list. Exciting news for all administrators ... the LeadingAge North Carolina Annual Conference has been approved for 12.5 CEUs by the National Association of Long Term Care Administrator Board!!! 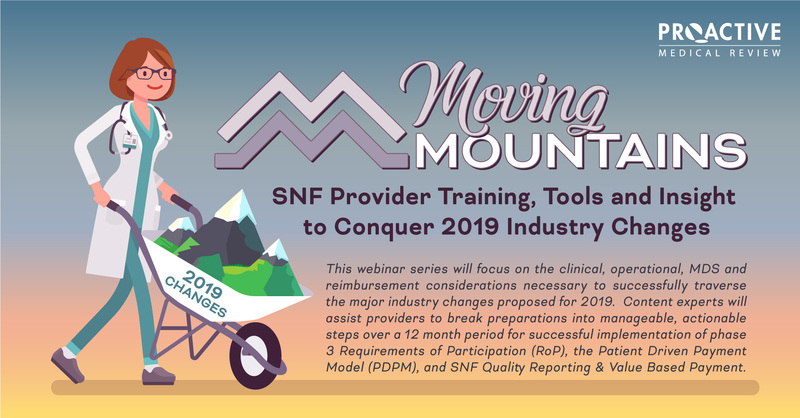 Join us for a two-part series facilitated by Kristy Yoskey of HealthPRO Heritage to help you transition to the Patient Driven Payment Model (PDPM). We encourage members to register for both sessions for maximum benefit. However, individual session registrations are welcome. Register online or click here to download and mail registration form. 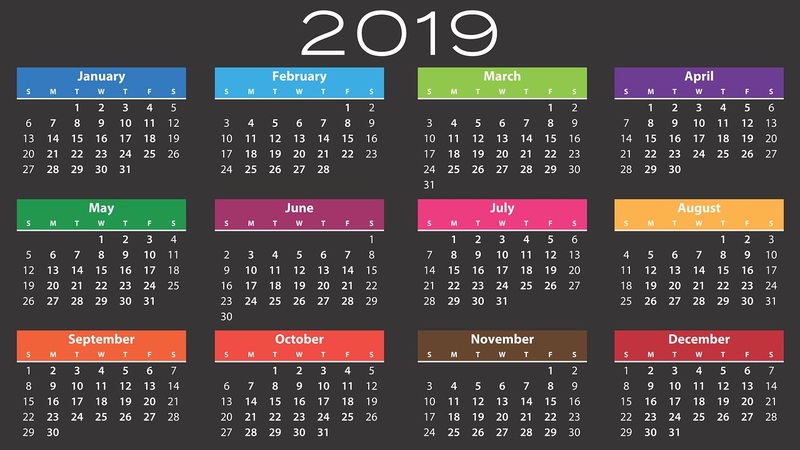 Take a deep dive look into PDPM and what it will take to prepare in the last three months leading up to the PDPM transition, execution process, education and success beyond October 1, 2019. Financial impact, high level strategies and education needed to be on the winning side of PDPM will also be discussed. Participants earn 1 NHA CEUs for Part 1 and/or 3 CEUs for Part 2. Session One Takes Place in Fewer Than 2 Weeks! "Lead Your People. Manage Your Process." Department directors, mid managers, team leaders, and supervisors - be sure to register today. Members: $200 for the series or $125 per session; Non-members: $300 for the series or $175 per session; 4.0 NHA CEUs. We are particularly pleased to announce a roundtable series called Beans and Dreams. Join your peers for coffee and conversation on second Fridays starting this month with the PDPM Introduction on April 12 (see above), and again in each month from June to December from 9-10:30am. This is an opportunity for members to connect regionally to discuss relevant topics. Each roundtable will be different! Keep an eye out for new topics each month. Please mark your calendars for the North Carolina Culture Change Coalition's "Staying Alive." The symposium will feature guest speaker Susan Gilster, PhD, RN who has presented more than 150 national and international talks on Alzheimer’s care and treatment, organizational change, leadership, and employee satisfaction and retention. Click here to register.